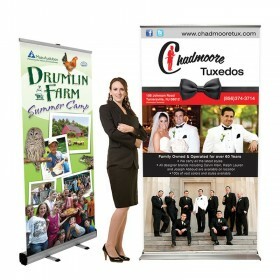 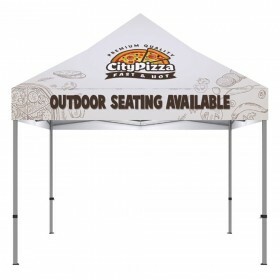 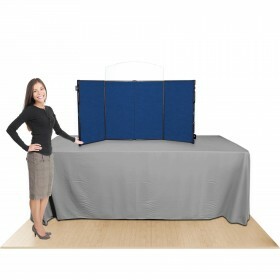 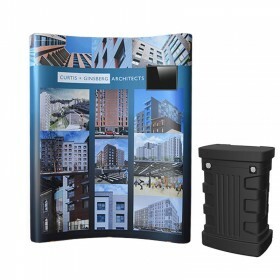 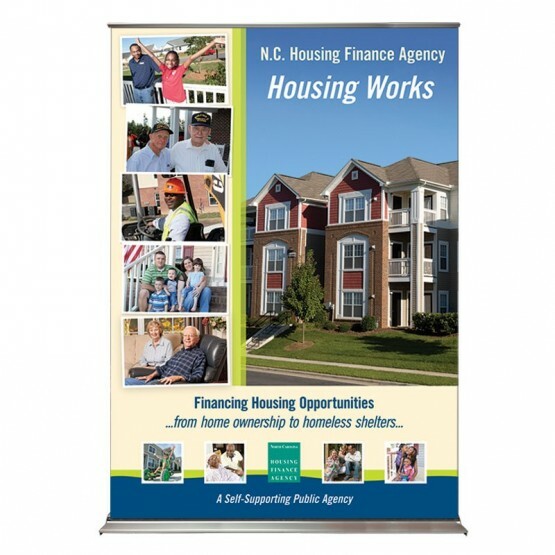 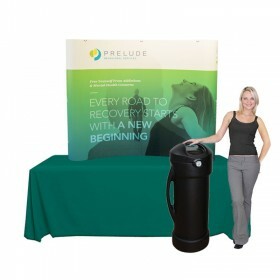 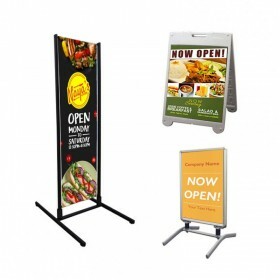 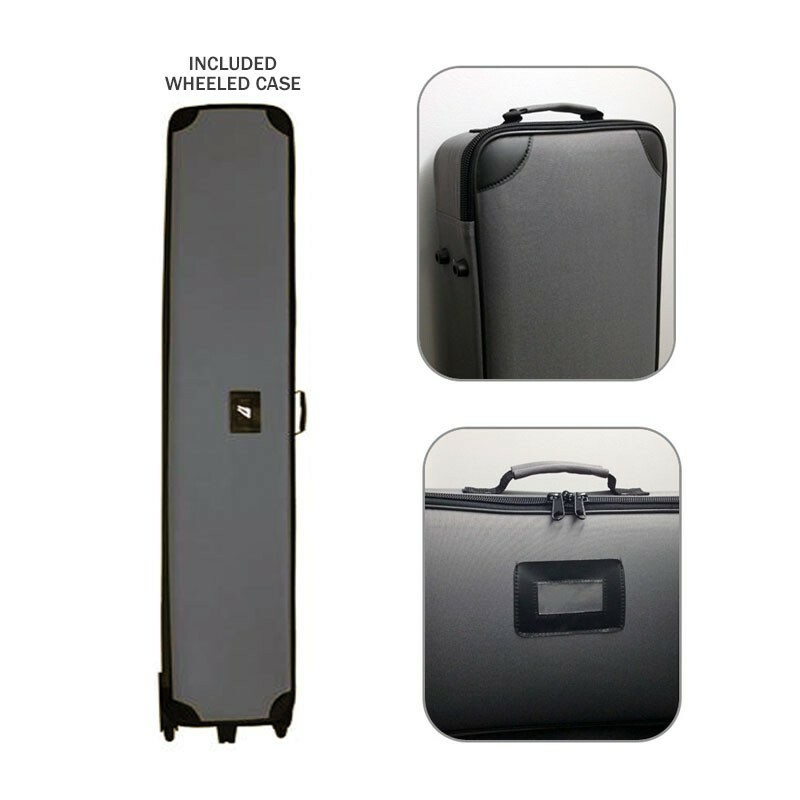 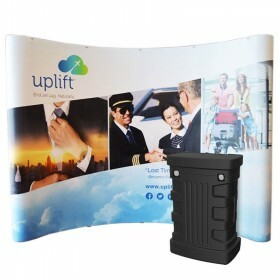 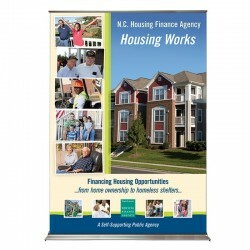 Deluxe Retractable Banner Stand includes custom printed banner, adjustable poles & wheeled suitcase style carry bag. 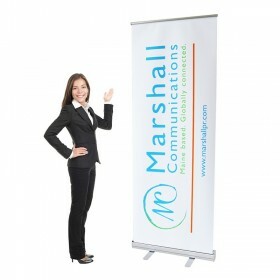 Banner Size: 84" high x 60" wide. 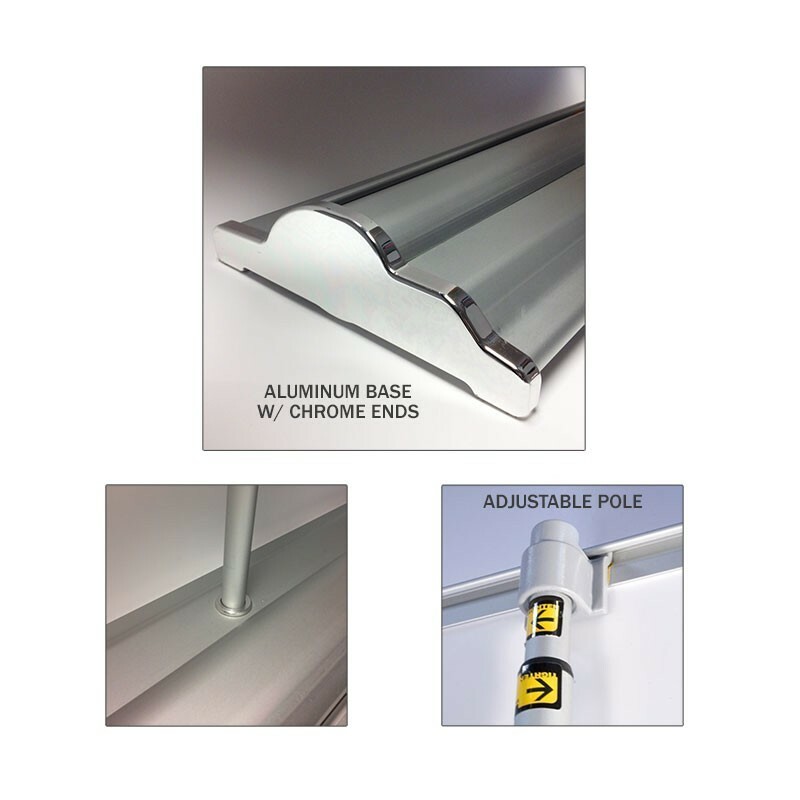 Hardware color: Silver. 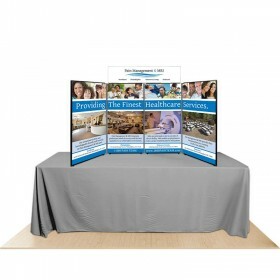 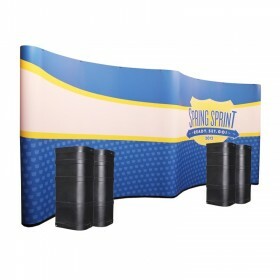 The SuperScreen 60” wide floor standing roll up banner display is 5 feet wide to create a hard to miss banner backdrop for your trade show booth space, sales conference or promotional event. 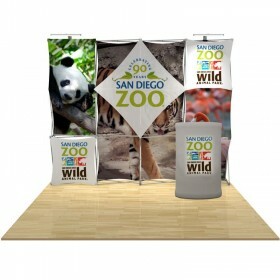 With it’s 60" x 84" one piece banner graphic, this Super Screen XL retracting banner stand is sure to get noticed. 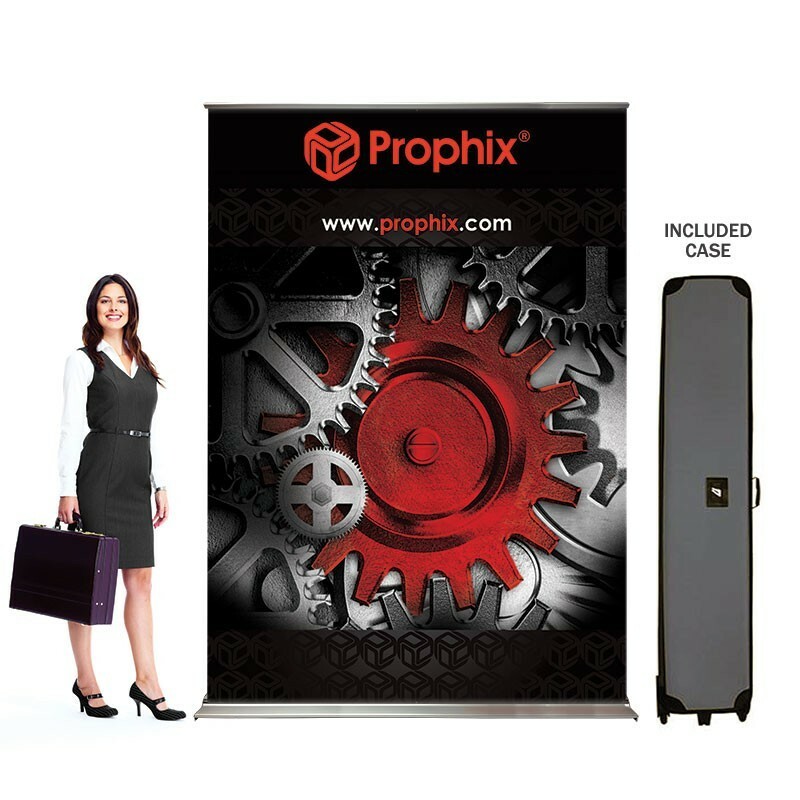 This self-contained jumbo retracting banner is perfect for any exhibitor needing a travel friendly display that can set up on seconds. 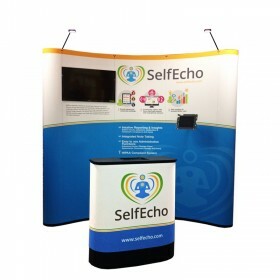 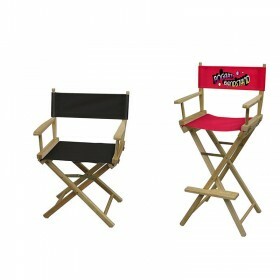 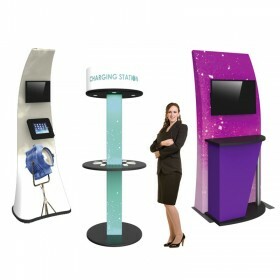 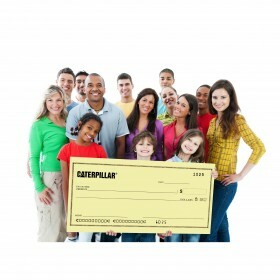 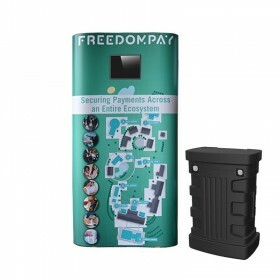 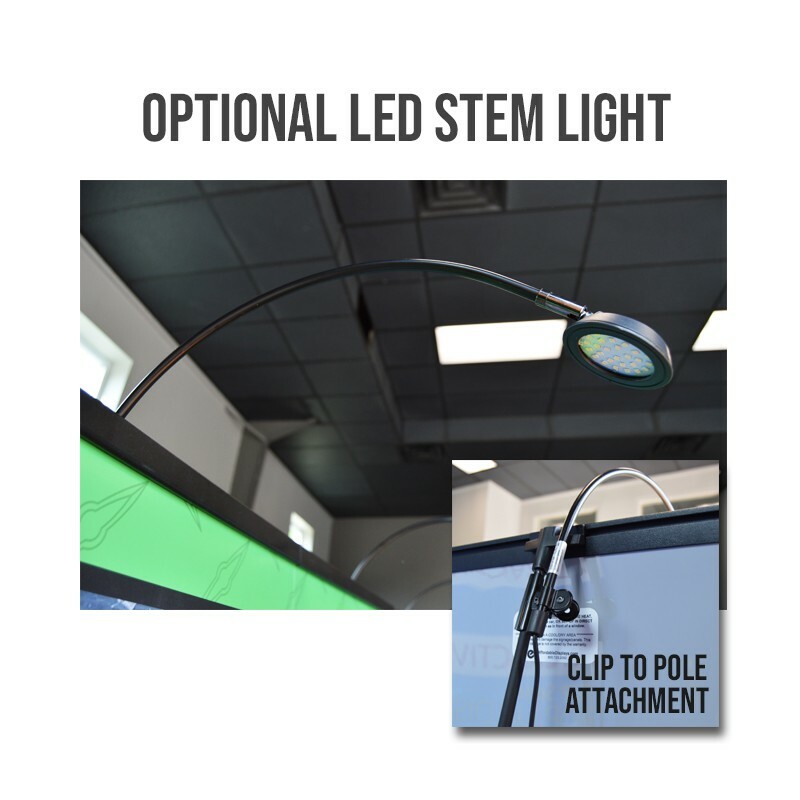 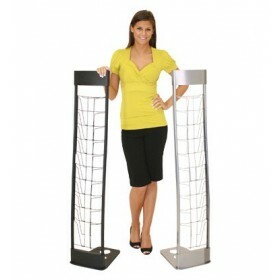 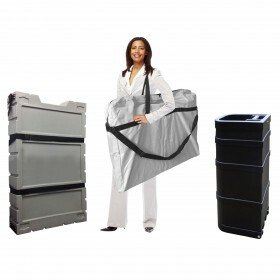 Perfect for the single trade show exhibitor. 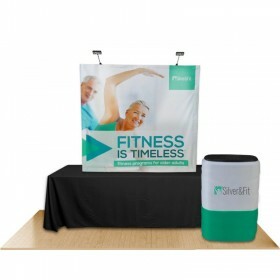 With the oversize banner your vibrant custom printed graphics will be sure to stop attendees in their tracks.Supply your ready to print graphic file and we will print your banner and install it into the base for you so when you receive your order it will be ready for immediate use. 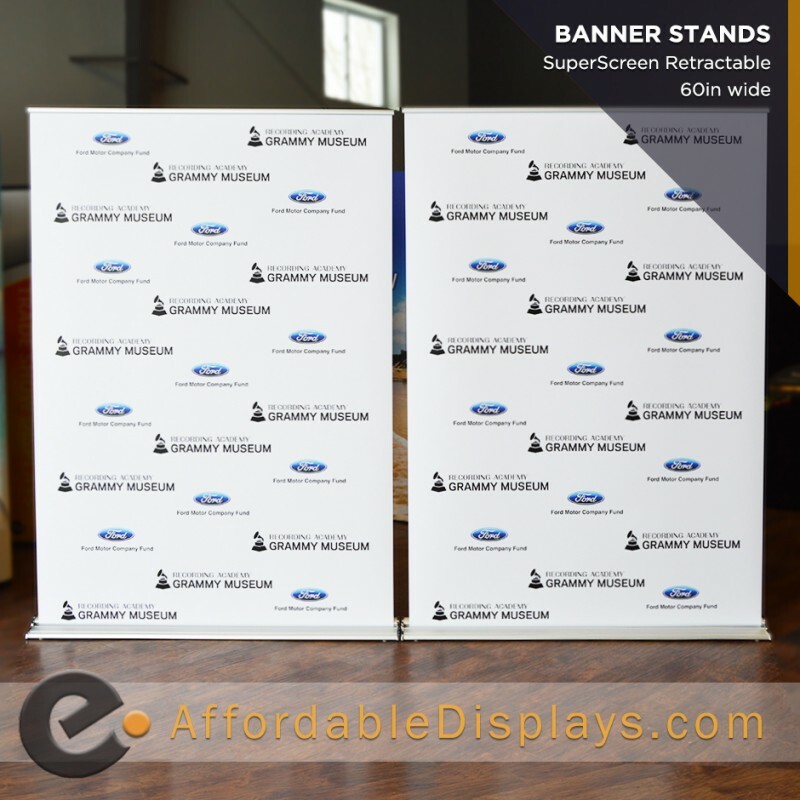 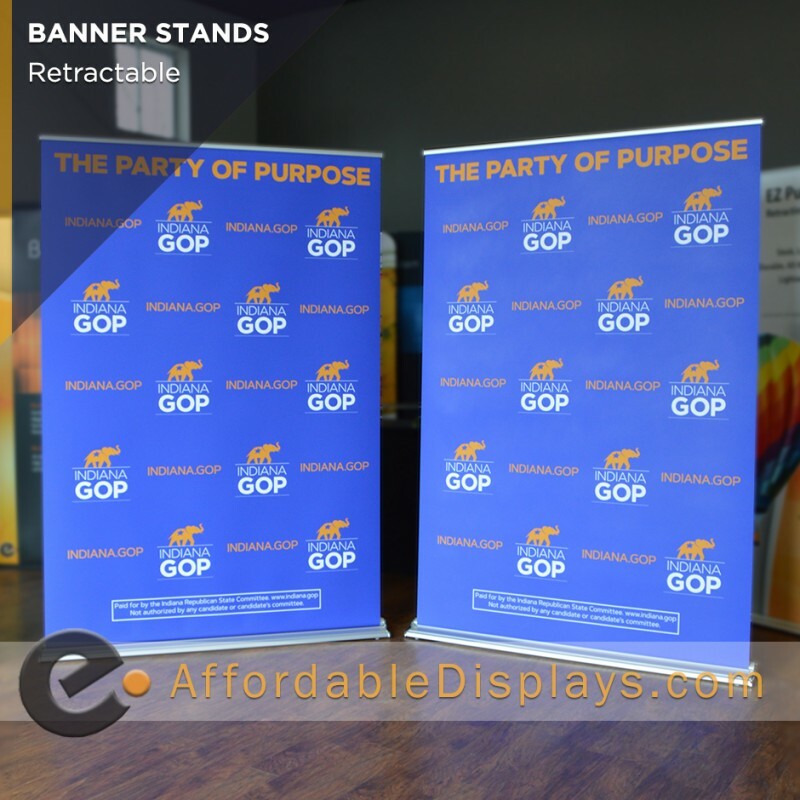 Simply roll up the banner from the base like a window shade, insert the poles in the back and you're ready to start presenting. 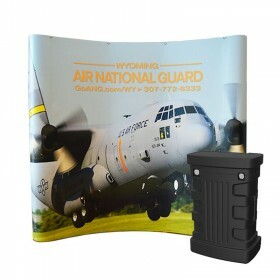 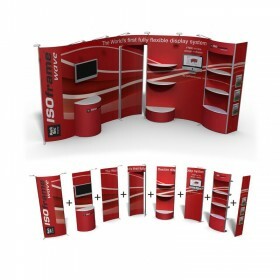 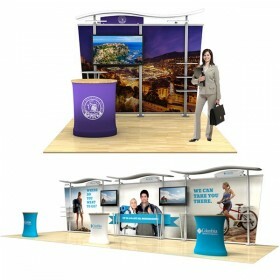 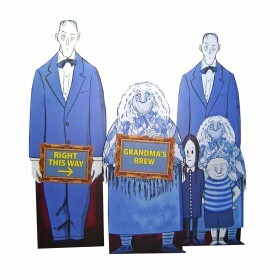 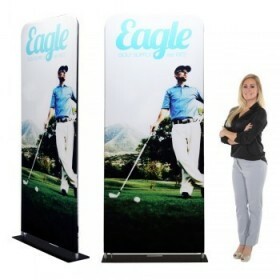 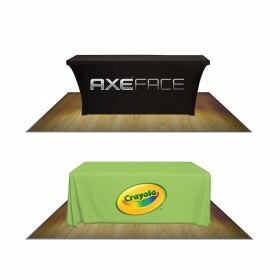 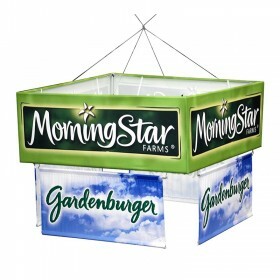 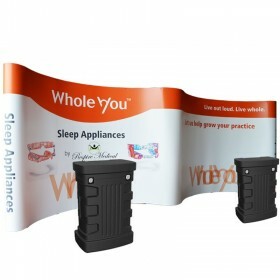 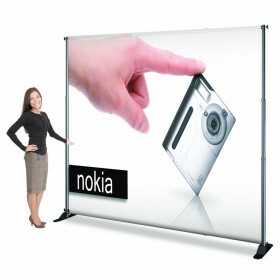 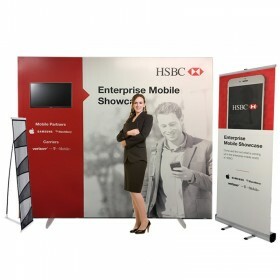 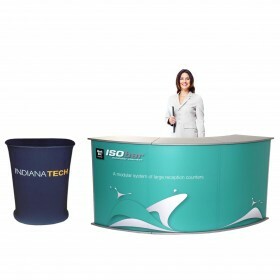 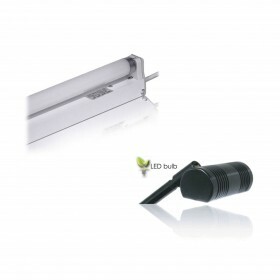 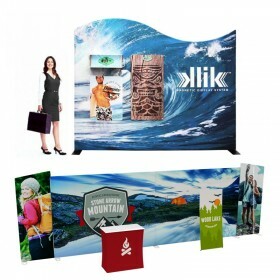 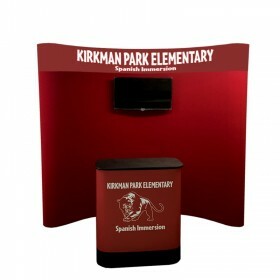 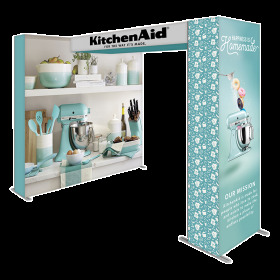 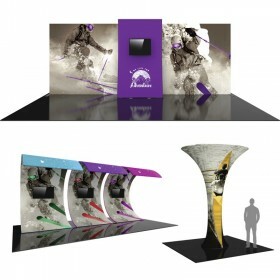 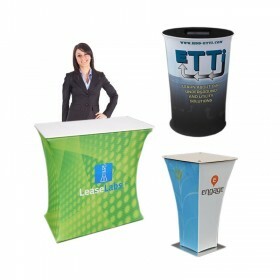 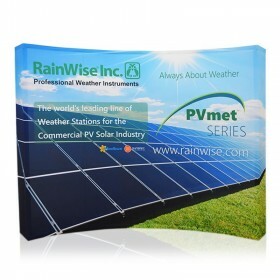 Its roll-up design also protects your banner during travel, therefore making the stand portable, in spite of its size. 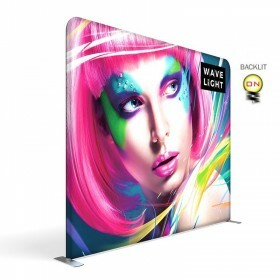 UltraBanner: 13 mil semi-gloss vinyl banner material with a lay-flat ability designed specifically for use in retracting banner stands. 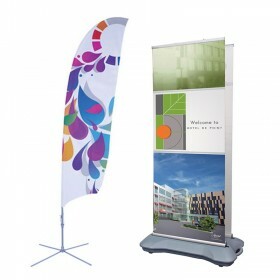 This is our standard retracting banner stand material. 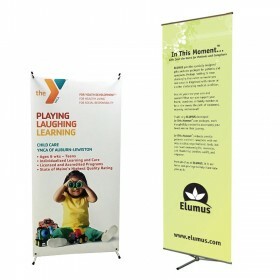 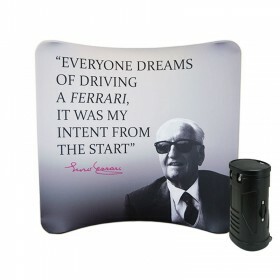 PolyCanvas: 10 mil polyester fabric offering a soft canvas-like texture and matte satin finish. 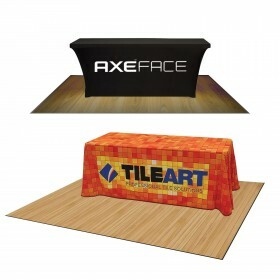 Ideal option when a fabric material is preferred. 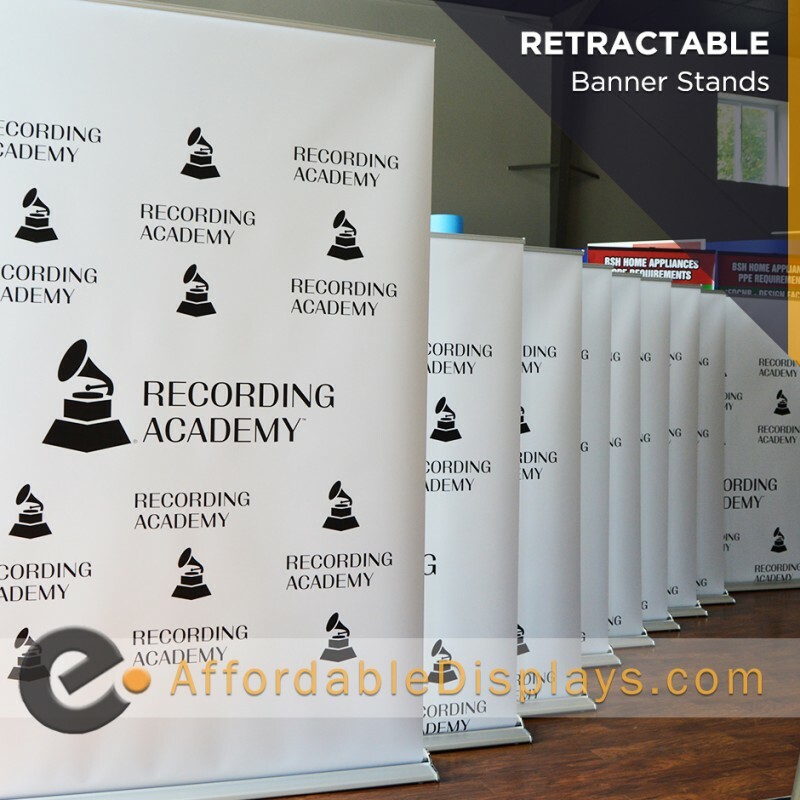 This is an upgrade in retracting banner stand material. 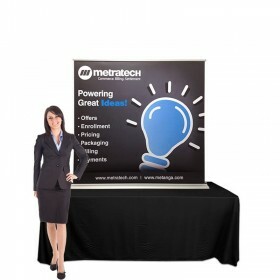 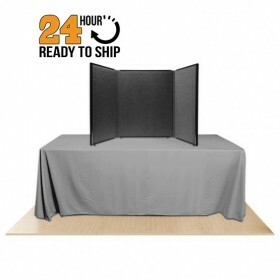 Blockout: 15 oz super smooth, scratch resistant banner media capable of producing a photo quality output. 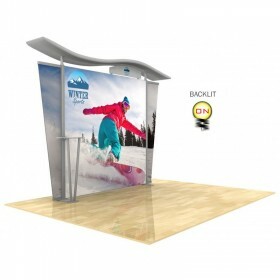 With its opaque blockout properties this material is ideal for storefront use or high lit areas. 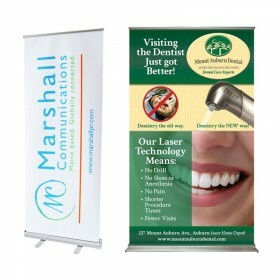 This is an upgrade in retracting banner stand material.